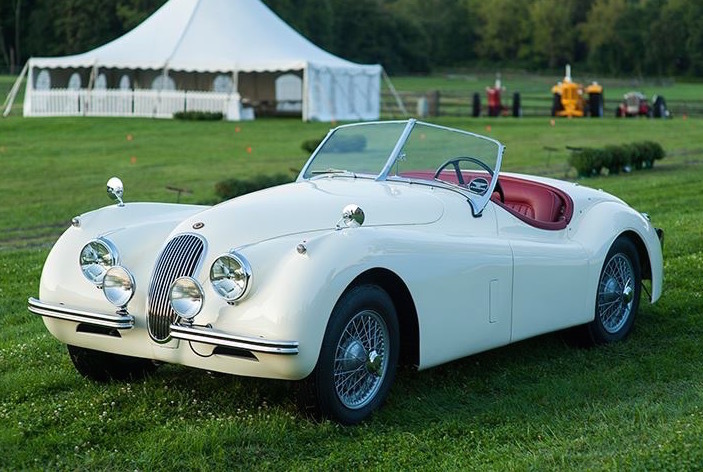 “Welcome to Radnor Hunt Concours d’Elegance, gentlemen.” The guards pointed our van up the manicured gravel drive; we drove past the stately clubhouse, and down the hill by the stables. As we rounded a bend we were greeted with a chorus of barking. “Look, doggies!” “They’re not doggies Bryan; they’re hounds.” Radnor Hunt, the ‘since 1882’ Fox hunting club in a wealthy Philadelphia suburb, is a long way from the world of flat-track. 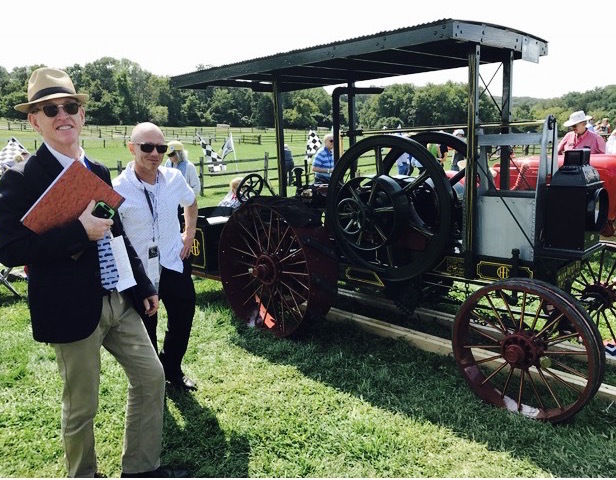 My mission for the Radnor Hunt Concours is to procure the extraordinary; that’s how I landed the job as National Champion Bryan Smith’s handler. 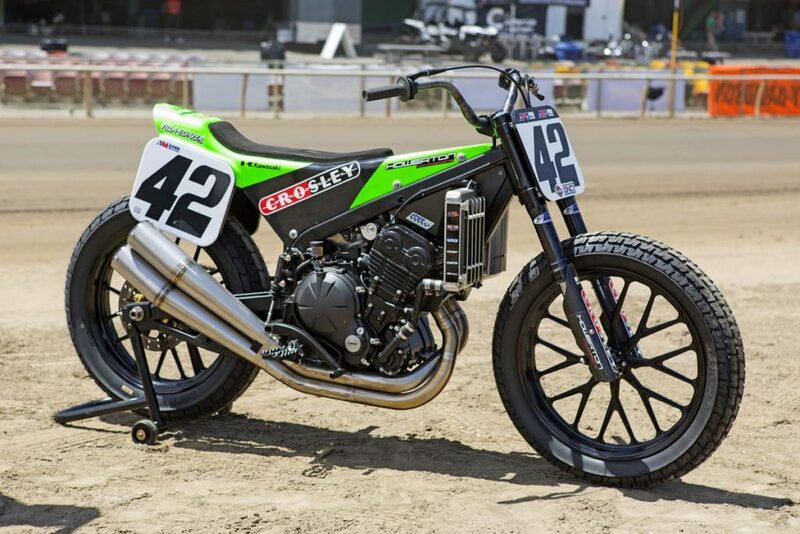 I’d asked to borrow Ricky Howerton’s 2016 flat-track Championship winning Howerton Racing Kawasaki, and he not only said yes, but graciously offered to send the winning rider, Bryan Smith, along with the bike. 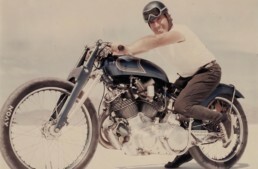 Getting the bike was terrific, but having the Champ was the icing on the cake. 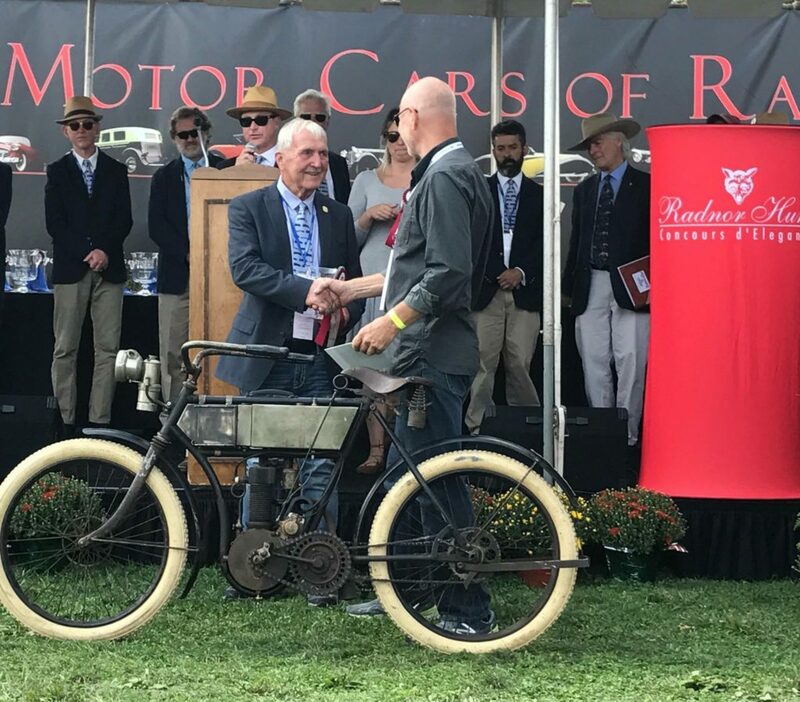 My deal was to pick up the Skinny Bike immediately after the Williams Grove flat-track race on Saturday, and bring it to Radnor Hunt for Sunday’s Concours. Bryan needed to do well in that race to retain his championship, and his riding was ‘all in’; he was a contender until he pitched it away in turn three. With Smith out, the championship belonged to Jared Mees. Bryan was fine after his spill, but it’s hard to watch a friend do the ‘walk of shame’ back to the pits, on national TV. We loaded the Skinny Bike in the van and started heading east, stopping for a quick dinner on the road. No tables were available, so we sat at the bar – it was a hard luck day. Bryan ordered a Moscow Mule (the name says it all); more appeared in short order, courtesy of his fans, whom I think were a little shocked to see him humbly sitting at the bar. Well-wishers stopped for a selfie or an autograph, and he made time for everyone. 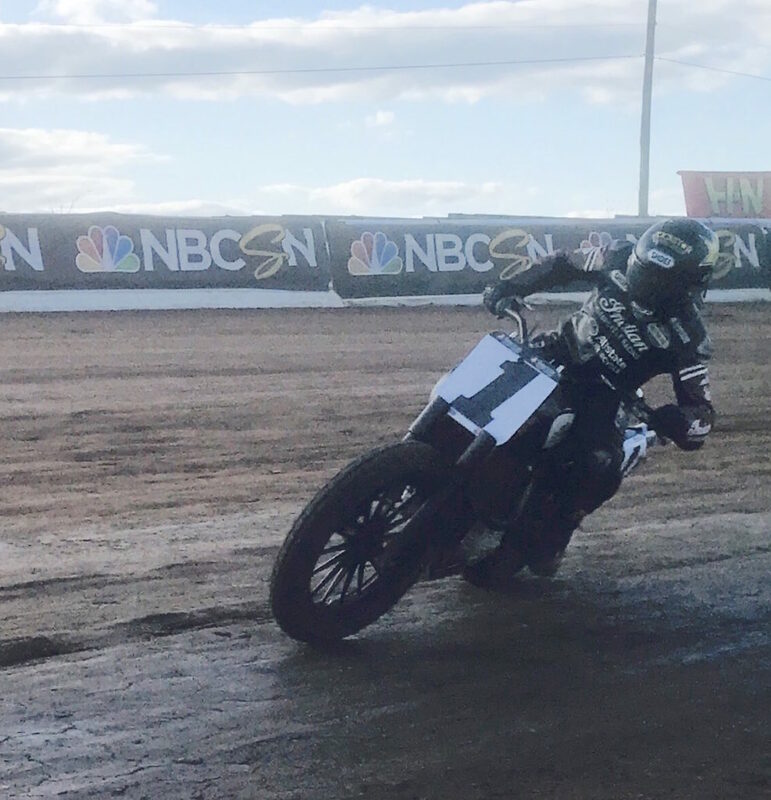 Flat-track racing is more than a job for Bryan, it’s his life. As we ate dinner, I reflected how easy it was to load the “Skinny Bike” into the van. 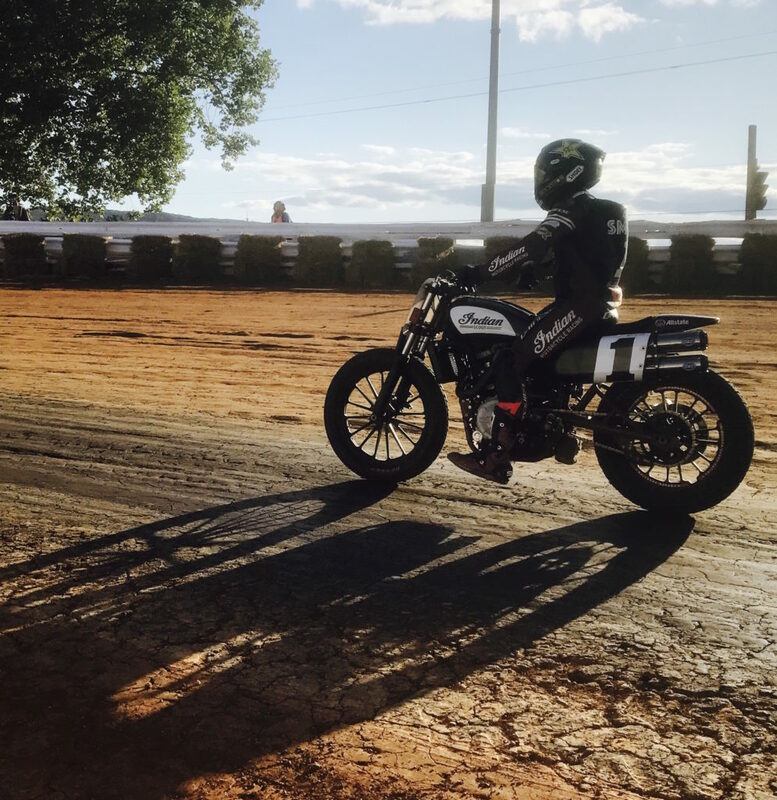 Switching to the bigger Indian flat-track racer must have been quite a change, but when asked, he just shrugged it off, admitting that the Indian was more like a Harley-Davidson XR750, as Brad Baker & Jared Mees raced last season. 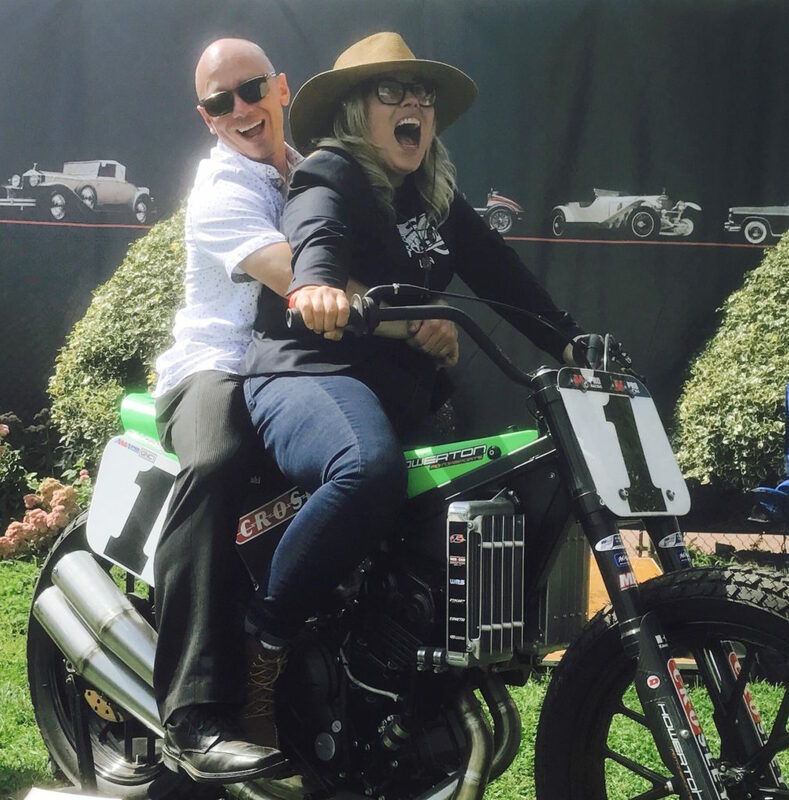 It’s the mark of a professional that Smith hopped on the heavy Indian and was up to speed immediately…but Bryan did mention he really liked riding the Howerton Kawasaki. Perhaps he’ll will race one again? Offloading the Skinny Bike, we wheeled it past the big white tents spilling over with Rolls Royces, Ferraris and McLarens. Well-dressed ladies in big hats regarded us curiously, and Bryan understood why I’d forwarded the email on ‘proper attire for a gentleman’. 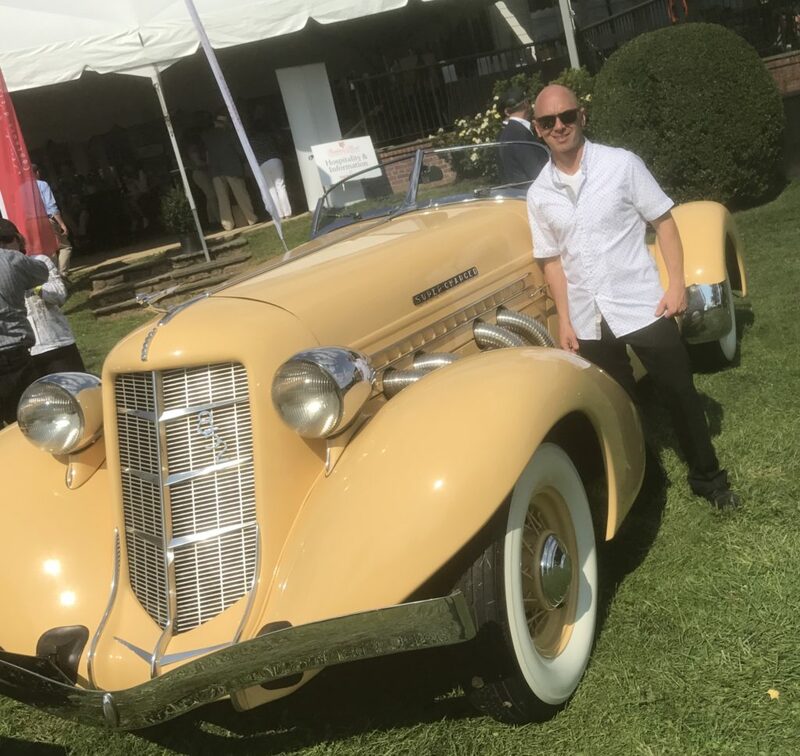 We strolled the show field after a quick breakfast in the clubhouse, and Bryan was impressed with the uniqueness of every car and bike on display, which included his own. 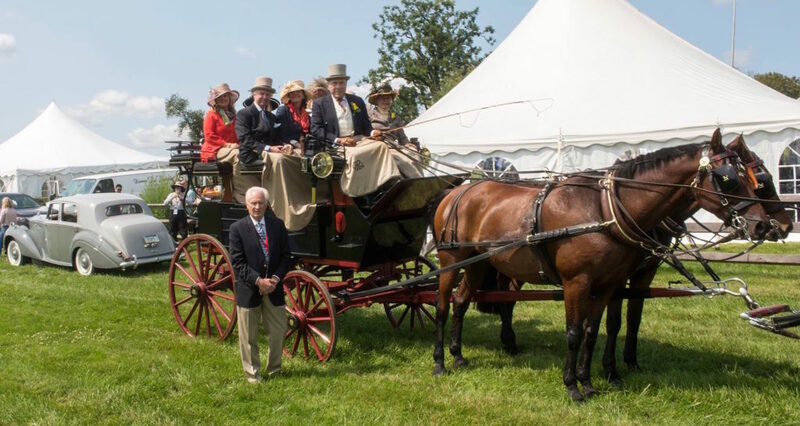 “I’ve never even seen these on Google before!” Then the red-coated Huntsman’s horn blared as he galloped past with his pack of hounds – the ceremonial start of the Concours. The contrast in atmosphere between Radnor Hunt and the Williams Grove flat-track couldn’t be greater. 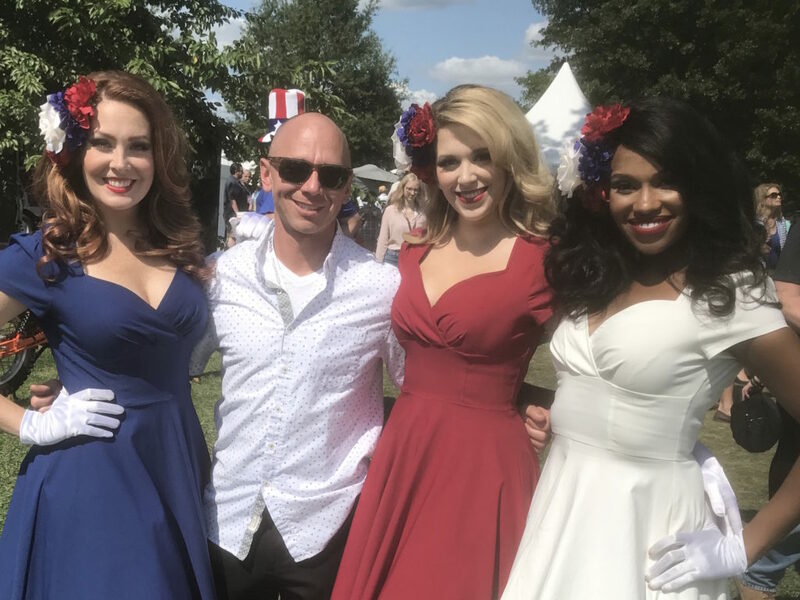 Bryan rubbed elbows with the well-heeled Radnor guests, and was surprised to discover they were well-informed regarding flat-track racing, and knew about his Championship, but were more impressed with his X-Games win! That’s when Bryan Smith relaxed, and the day became a positive experience for the Champ. I think Radnor Hunt has not seen the last of the flat-track scene! You won’t find it in Google unless you know to look! 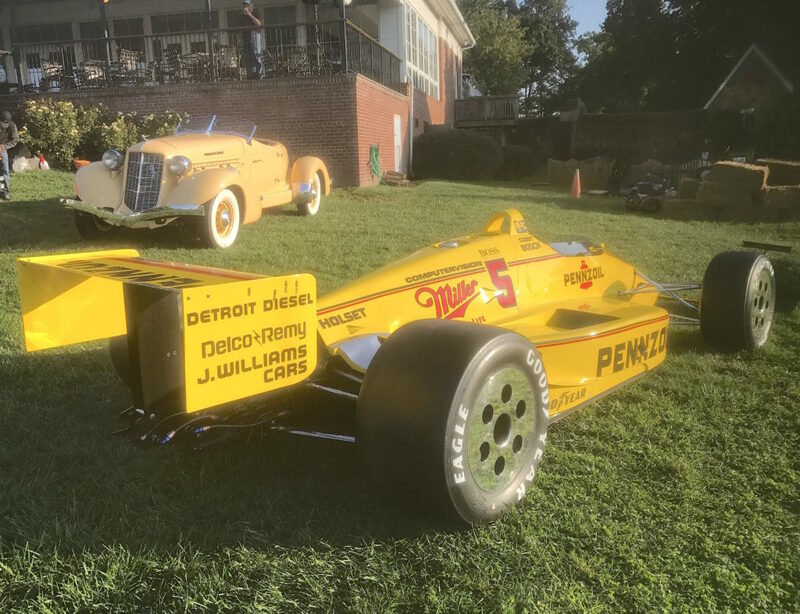 The Nigel Bennett-designed Penske PC17-Chevrolet, winner of the 1988 Indy 500 with Rick Mears driving.